Miami sunset, “lame” Gucci, purring Testarossa, Baile Átha Cliath seem far away…And yet, we will take this imaginary bridge to “Rock ‘n Roll Circus”, a new enlighted album (recorded at Rob’s GMG Studio One in Ireland) of the Irelands’ German-Italian born guitarist, singer, producer (and magician…) ROB MANCINI, who after several years of silence found the highways of success with this Pearl of stamped metal of the 80’s, this AOR is of very high class, a Melodic Rolls Royce and refreshing cocktail. 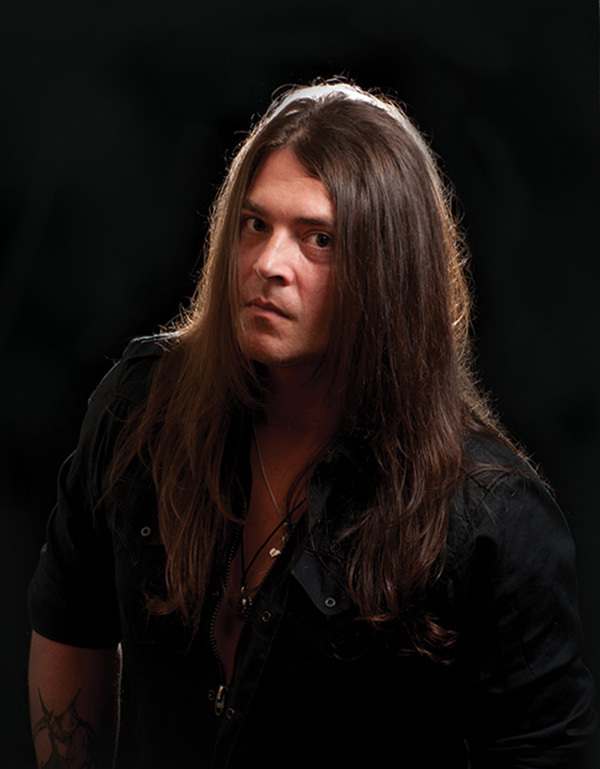 (Rob played on the international rock circuit in the mid of 90’s with “Hotwire” & “Crush”, recording a lot of albums and sharing the stage with artists as Victory, Thunderhead, Dare etc before moving to Ireland in 2001 to work as studio and session musician). No doubt, nobody expected it. And therefore it’s all its force. If the sweet musical inclinaison since several years find force and showcases (“Above and Beyond” of Bad Habit, the monstrous “The Greatest Wonder” of Khymera or even the latest Treat and Work of Art), it is clear that ROB MANCINI simply and humbly puts a new stone to the majestic building that have built the illustrious ancestors such as Fleetwood Mac, Eagles or closest us Toto, Journey and Survivor. Pride Of Lions also. Crunchy as the 80’s, free as a Seagull, this music gives the thrills. Euterpe gloats and a manhandled geography make these bright keyboards and sweet rhythmics prove the lovely and proud Ireland, and it’s not so far away from the mischievous California by these avalanche of sunny and positively addictive sounds. Welcome into this circus, and if the opening laughter may seem worrisome (we are very far from Alice Cooper), that is, it is better to be confused. Exit from the darkness and sad mood, Rock ‘n Roll Circus announces colors: Martyred Bon Jovi by the expressions of Marylin Manson. Surprisingly. Here no doubt, everything seems possible. With the third song we are at the heart of the words, powerful, sleek and AOR which is a flavor without moderation, a glass of Chianti in hand, before an ochre sunset. Huge single, “Edge Of Broken Heart” takes all its promises with the “Malmsteenish” arpeggios at the mid of the song, note also its magical female choirs. Not the time to catch the breath, and the warm voice of Rob convenes Jon Bon Jovi and Corey Hart in “Everytime You cry” with its hypnotic mid-tempo.. and I know that I’m facing here a rare and precious mistress piece. Undue keyboards and goth vibrations, the start is dantesque of the next “resumption of the sublime” song “Running Up That hill” (maybe this new version was inspired by Rob Mancini’s muse & fiancée). My adored Kate Bush is now mounting the adrenaline and shows a smile on her faces. Rob once again magnifies the remarks and with his magical voice we remain stunned. Wow, what monumental slap. the years when Reagan returned to full feet in the 90’s with “Weak As I Am”, a synthetic, dark introspection to the intonation voices recalling here the very estimated Mike Tramp. “Too Late To Die”, dark pop to seductive whispers, light the lights and say the words: I want more! Over and over again, AOR silver rocket tired our heart, “The Reaper” barely calms our hunger. Radiating solos on sheets of vindictive keyboards, that is, I want even more this voice! Escaping eruptions of Satriani’s guitars are biting on “United We Stand” and the hypnotic “Somebody” which will be printed deeply in our memory. Then occurs the last minutes, murderous, cruel, and how to say farewell…? How to leave without much suffering? Perhaps then to dive into this ocean by a psychedelic surf, that is “Time Stops For No One But You”, last languorous kiss that would see a mild hosted Jane’s Addiction and a lunar Ozzy to conclude this charming journey…Through the continents through the strata of our flesh, of our souls. Nietzsche wrote, “Without the music the life would be an error”. 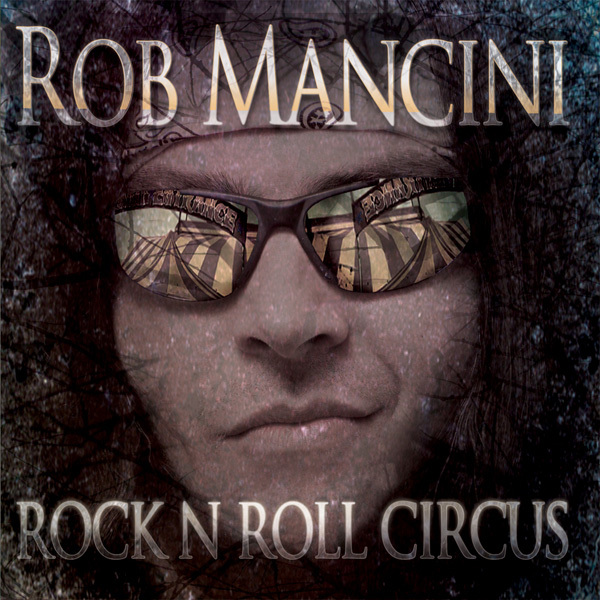 With this “Rock ‘n Roll Circus” Rob Mancini corrects our disillusionments. And if your music is a cry that comes from within, know Rob, I heard it. It’s not a Rock ‘n Roll Circus.